If you have ever looked at the long list of fees the mechanic charges you during your regular visits, then you have likely noticed a charge for the replacement of your air filter and your oil filter. While most everyday motorists chalk this up to 'just another item they can't do themselves', replacing these filters is very much a task which you can do at home. What Exactly Does You Air Filter and Oil Filter Do? If minimizing the costs associated with your mechanic visits is important to you and you are interested in doing some of the work yourself, your air filter and oil filters are a good place to start. Along with supplying quality products for drivers to perform a synthetic oil change, Synthetics Northwest has an extensive range of air filters and oil filters and has prepared some information to help you understand their function. The motor oil which runs through your engine is also known as "engine lubricant," which is a name that makes it easier to understand its purpose. 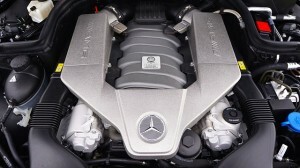 Inside your engine are many metal parts which are forced to interact with each other at high speeds. Without sufficient lubrication, the grinding action creates friction which not only decreases the performance of your car but is also a cause of engine wear. To protect against this type of damage and promote smoother engine function, a synthetic oil change using high-quality AMSOIL synthetic oil provides each engine part with a protective coating that helps to reduce friction. Less friction results in less engine damage. However, if you miss your synthetic oil change interval and continue driving, you can exhaust the lifespan of this lubricant, causing it to break down under extreme temperatures and pressures. When this occurs, it is no longer able to provide protection and can lead to tiny metal shavings being chipped away from your engine parts as they operate. The role of your oil filter is to trap this debris as your oil is pushed through it, keeping it out of your engine and preventing it from causing further damage. As your oil filter captures these impurities, clean oil is then pushed out and recirculated through your engine. If you leave your oil filter to become clogged, instead of being captured, these impurities remain in the oil, traveling through another engine cycle where they can cause damage. If you perform your own oil maintenance, then you can change your oil filter alongside your synthetic oil change interval. However, it is important to note that not all oil filters are compatible with every engine. To find out which oil filter is suited to your needs, speak with Synthetics Northwest at (503) 371-7184 to get expert advice and the right AMSOIL oil filter for your engine. Your car's engine requires a particular mixture of gas and air to operate efficiently. While your gas tank stores the fuel, the air that is needed is taken from the environment as you drive. If you have ever looked at the front grill of your car and seen it full of bugs, dirt and other debris, then you are aware that the air which passes through your engine isn't always the cleanest. This is where your air filter comes in. As your engine takes in air, it passes through your air filter which captures these impurities and prevents them from entering your engine. This action ensures that only clean air is mixed with your gas and allows your engine to operate efficiently. If you ignore your air filter and allow it to become blocked, it can restrict the amount of air that is being taken in by your engine. Not only can this restriction lead to a decrease in your engine performance, but Toyota also advises replacing a clogged air filter because it can increase your acceleration time. The rate at which you need to change your oil filter and air filter depend on your driving conditions. If you live in a dirty or dusty area then your air filter may need replacing often; however, it is an easy task which you can take care of alongside your regular synthetic oil change. If you like the idea of performing your own level of basic engine maintenance, however, just aren't sure where to start, speak with an expert. Call your local AMSOIL distributor, Synthetics Northwest at (503) 371-7184 the next time you perform a synthetic oil change and get the right filters for your car.